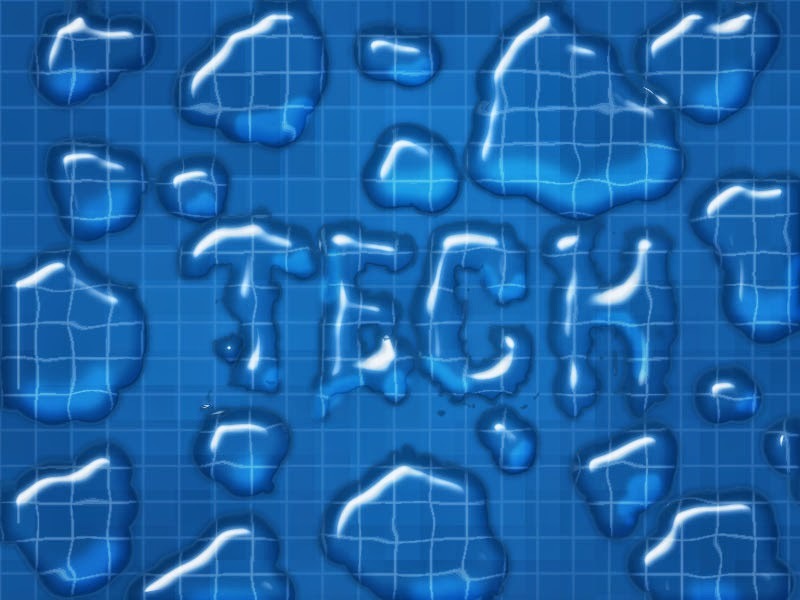 Let’s learn how to Create A Water Drop Text Effect Using photoshop.In this tutorial we’ll use advanced layer style techniques to create the drops. 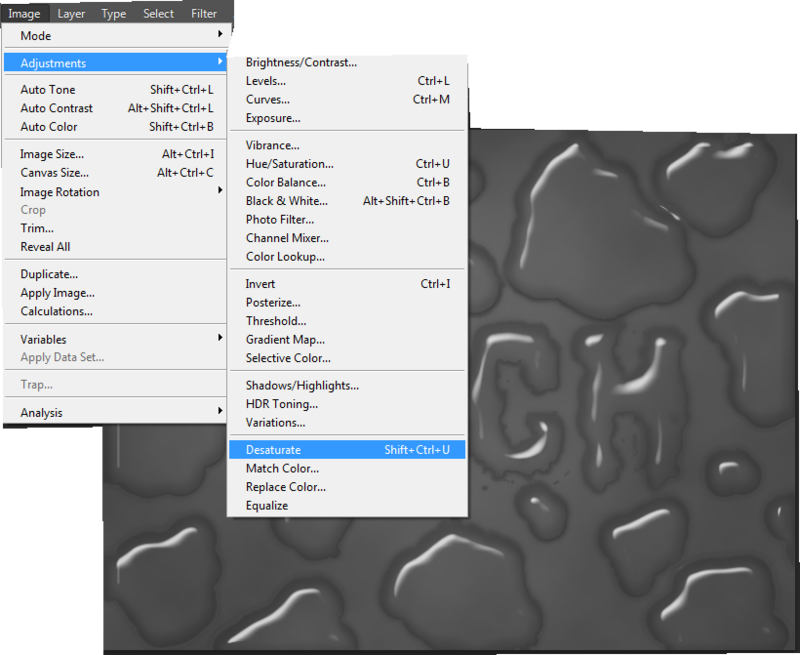 Later you will learn how to create a depth map from any image, as well as how to distort any surface effectively with it. 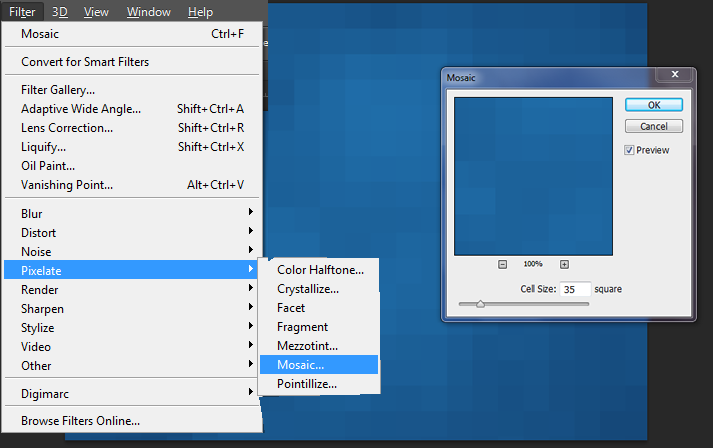 Along the way, we’ll also create a layer style based grid and custom background and much more.So let’s start. .Because it is long tutorial and never miss you work because for any reason. Now Double Click on the Background Layer and rename it as “MainBg”. 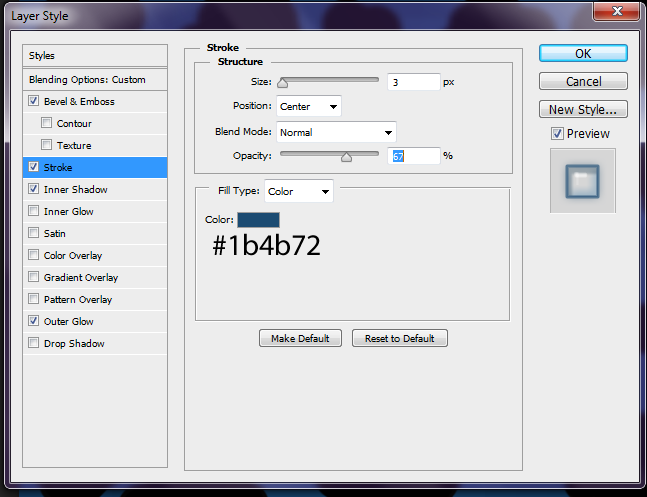 Because it is impossible to apply layer style directly on Background Layer. Create a new layer above “MainBg” layer and name it as “Clouds”.Now go to “Filter → Render → Clouds”.then you will get an image similar to below screenshot. Note that Colud filter will not give exact image like below because each time it gives random images.So don’t worry about your image.You can apply Clouds filter untill you satisfied the look. 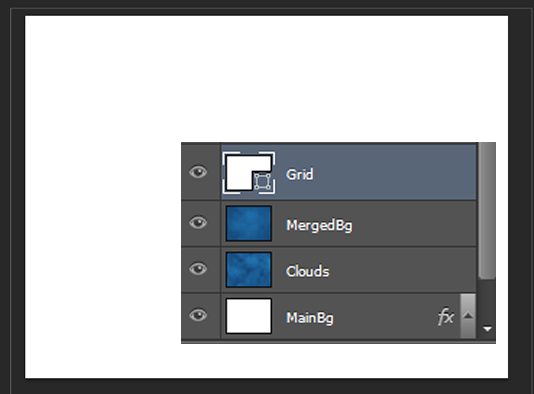 Now reduce the Opacity of “Clouds” layer by 50%.After that press “CTRL+SHIFT+ALT+E” to get a copy of Merged layers of “MainBg” & “Clouds” layers.Now name the merged layer as “MergedBg”. 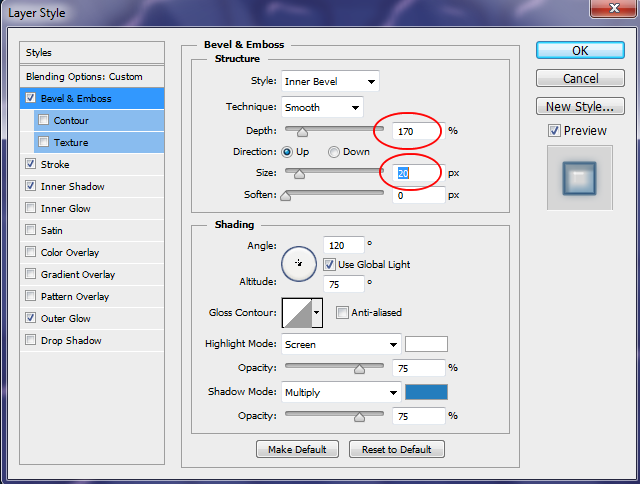 Always remember to turn off “MergedBg” layer visibility while you are making any changes to layer “MainBg” and “Clouds”.Because you will not see the changes that you make. 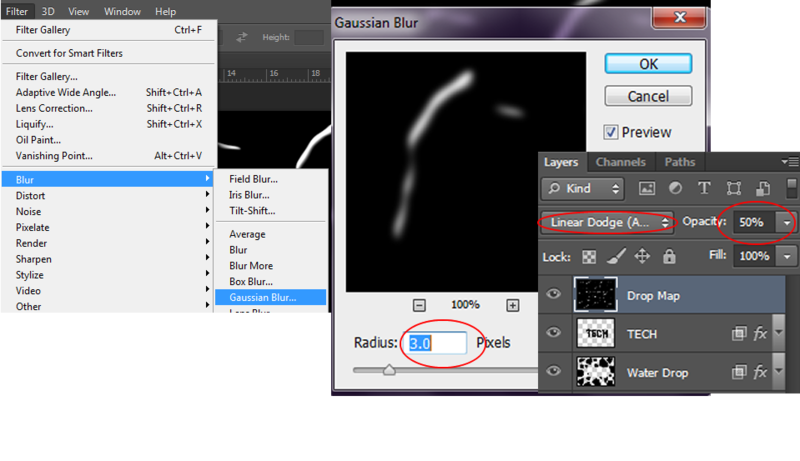 Go to “Filter → Pixelate → Mosaic” and Make Cell =35 squares. 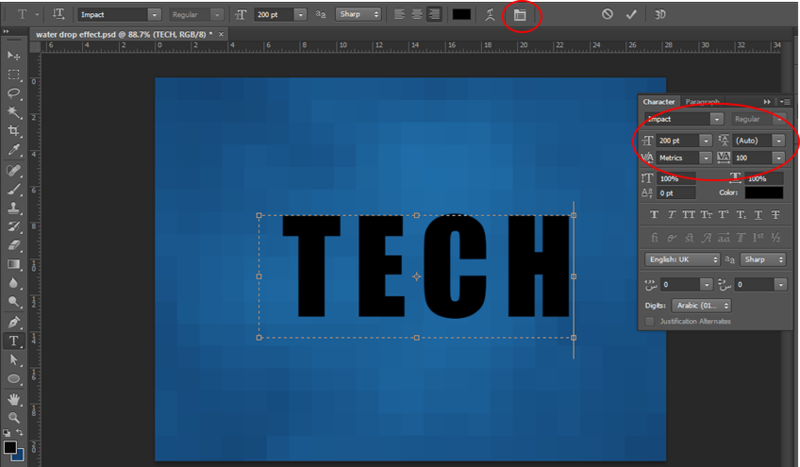 Now create a new layer just above “MergedBg” layer.And type your text.Here i typed “TECH”.I choose font : Impact and Set Properties according to below screenshot. 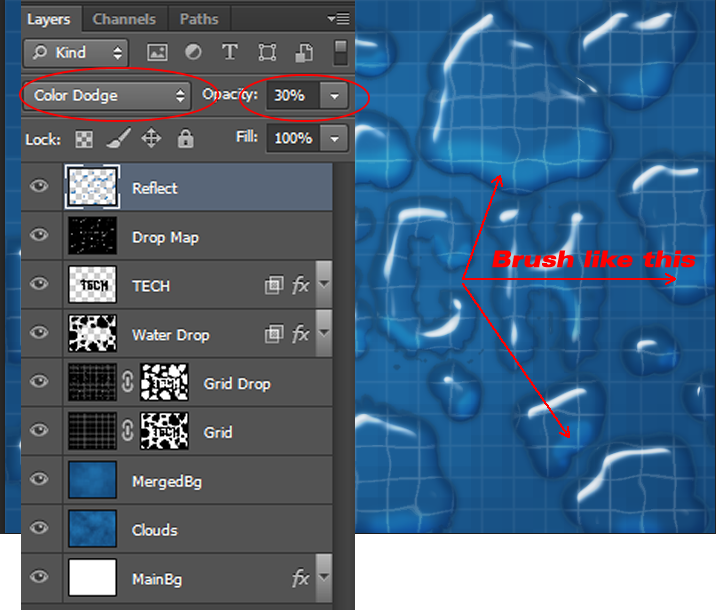 After that take “Brush Tool”,Set foreground colour to black (choose hard round brush) and draw water drops shape.Create you own shapes. Now choose text layer,then “Right Click → Rasterize Type”. 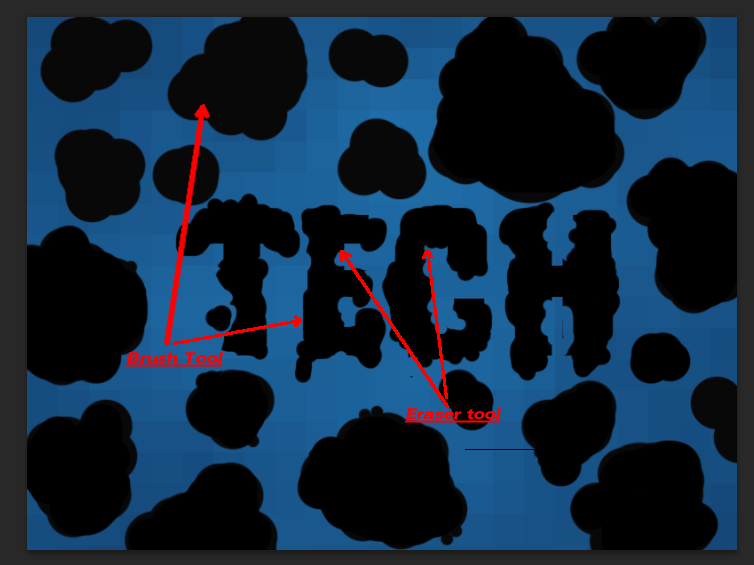 Now we are going to make some changes to our text using “Brush Tool” and “Eraser Tool”.Like previous step of creating water drops ,select hard round brush to change the outer part of text and hard round eraser for inner modification.See below screenshot. Okay now we make some irrergular look to our text.And we are going to style our “TECH” layer.So Double Click on “TECH” layer window and you will get a window just like below.This window is called “Layer Style” Window. 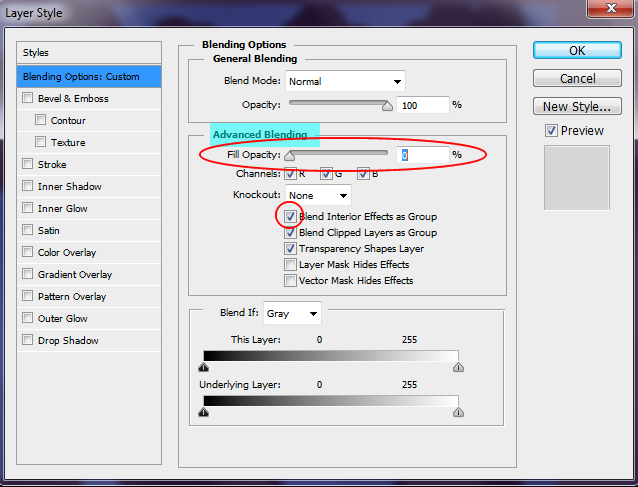 So in Layer Style Window you can see a heading “Advance Blending”.Below that heading Tick the first option – “Blend Interior Effects As Group” and then set “Fill Opacity” to Zero.This will make “TECH” layer transparent.See the below screenshot if you have doubt. 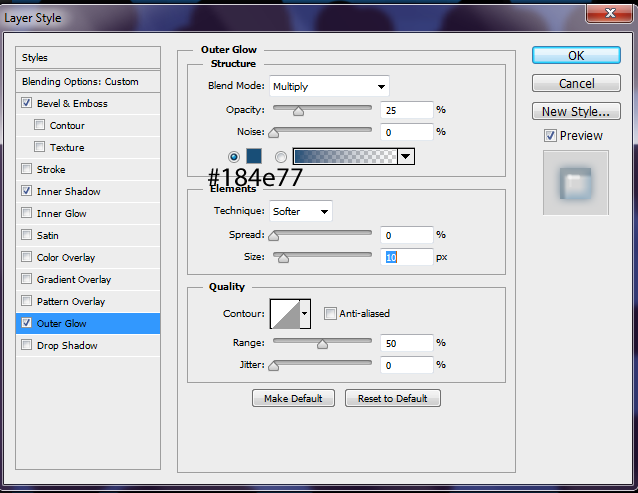 Now click “Bevel & Emboss” tab and set properties like below. 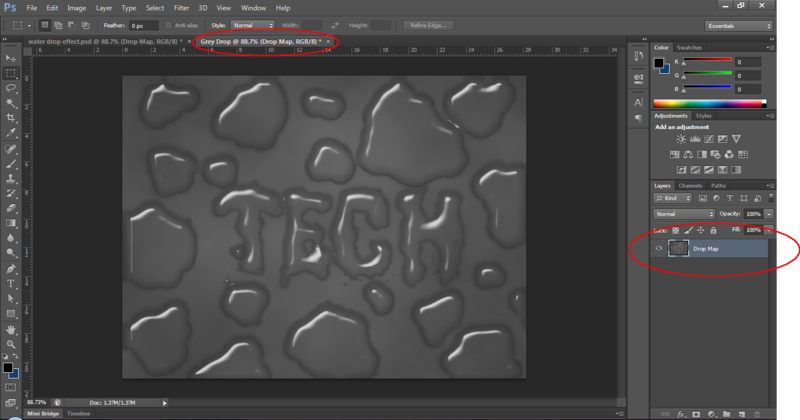 Then paste it on “Water Drop” layer.See screenshot. 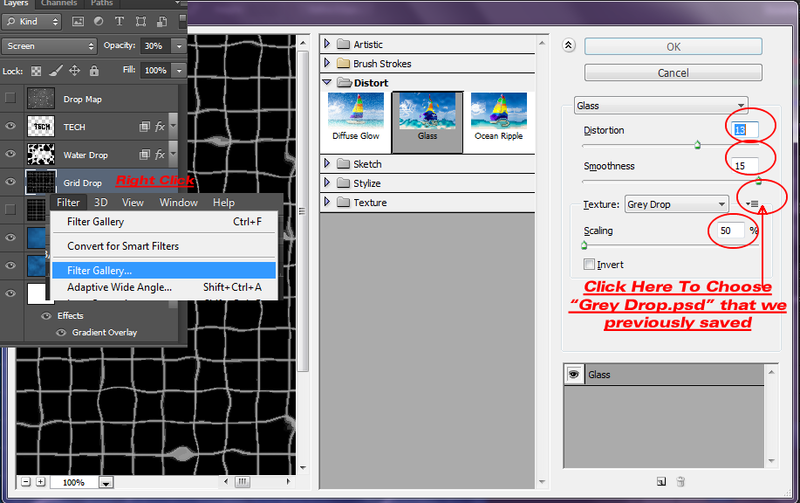 Now Double Click on “Grid” layer and edit Layer Style “Pattern Overlay” and set properties like below screenshot. 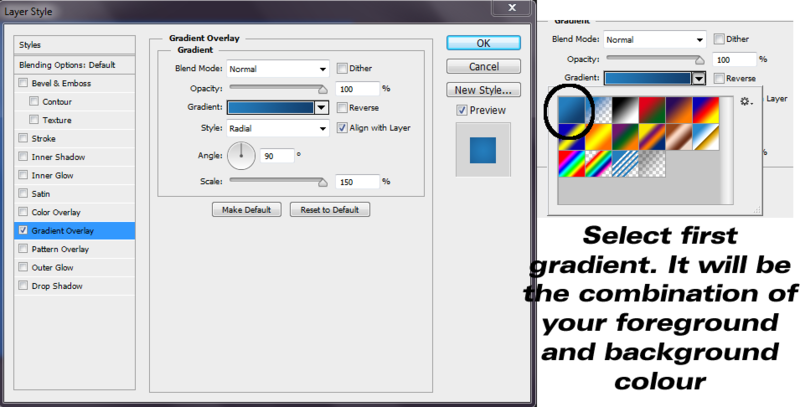 and press ok.
Again choose “Grid” layer,Right Click and choose “Rasterize Layer Style” and apply “Image → Adjustment → Invert”.Now we have “Grid” layer in black colour.Now select blend mode to “Screen” and you will get only white grid lines.Like below screenshot. Select “Drop Map” and go to “Image → Adjustments → Desaturate” and your image will be in balck and white. 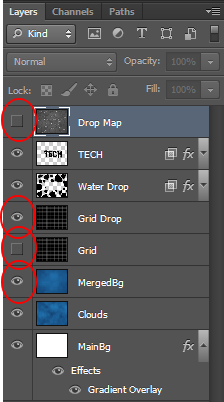 Now we are going to create separate Greyscale file.So Right Click on “Drop Map” and select “Duplicate Layer”.And choose “New” from document drop down menu.Then name your file as “Grey Drop” and press OK.This will create a new file wth “Drop Map” layer only in it. Right Click on the “Drop Map” layer of newly created file “Grey Drop” and choose “Flatten Image”.After that apply “Image → Mode → Grayscale”. 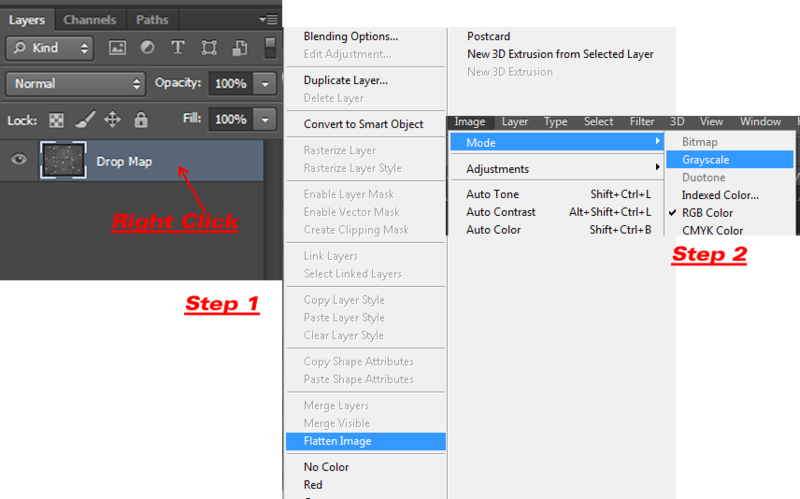 This will remove colour information of the layer.Now save the file as psd and close it. 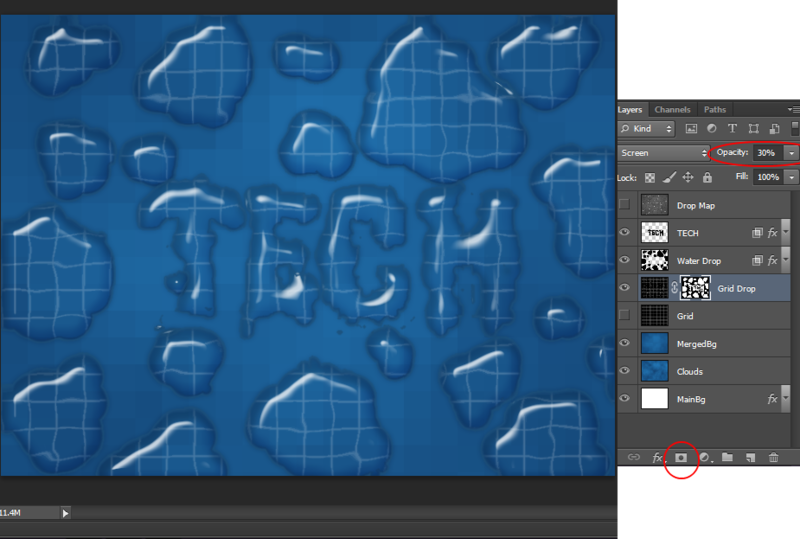 Again back to our “Water Drop Effect.psd”.Turn off the visibility of “Drop Map” layer and turn on visibility of “Grid Drop” layer. 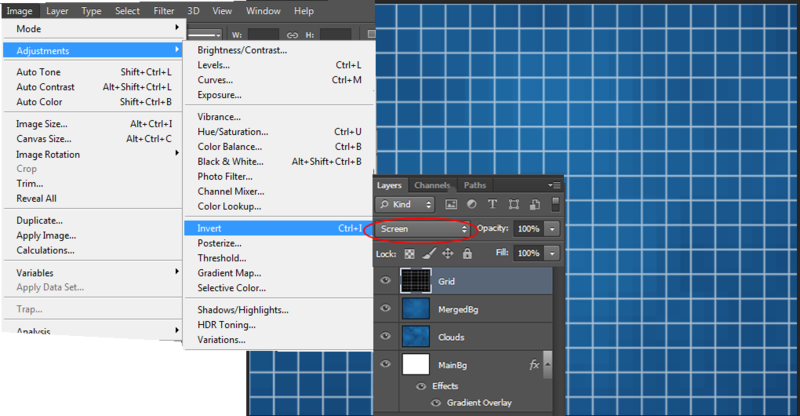 Now choose “Grid Drop” layer and select “Filter → Filter Gallery → Disort → Glass”.See the below screenshot to set the values.And now grid pattern is disorted. To see disorted grid patterns only in water drop we are going to create Mask for this layer. 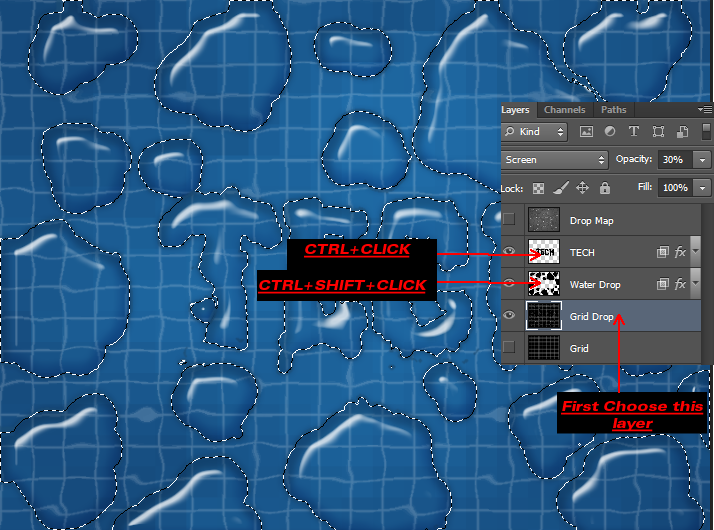 So first choose “Grid Drop” layer and then “CTRL+CLICK” “TECH” layer thumbnail and “CTRL+SHIFT+CLICK” “Water Drop” layer thumbnail.See the below screenshots. 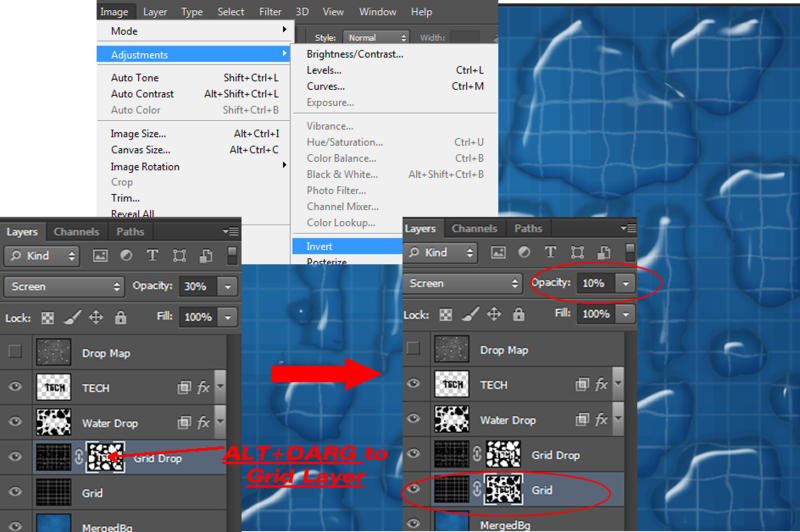 Turn on the visibility of “Grid” layer and choose Mask thumbnail of “Grid Drop” layer and press “ALT+Drag” it to “Grid” layer. 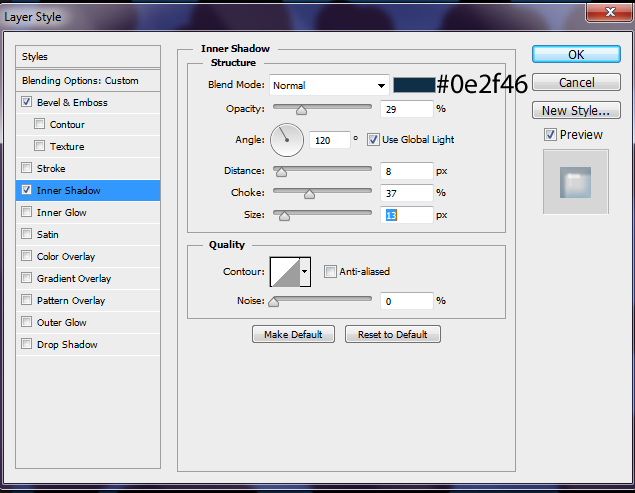 In this way we can copy Mask from one layer to another. 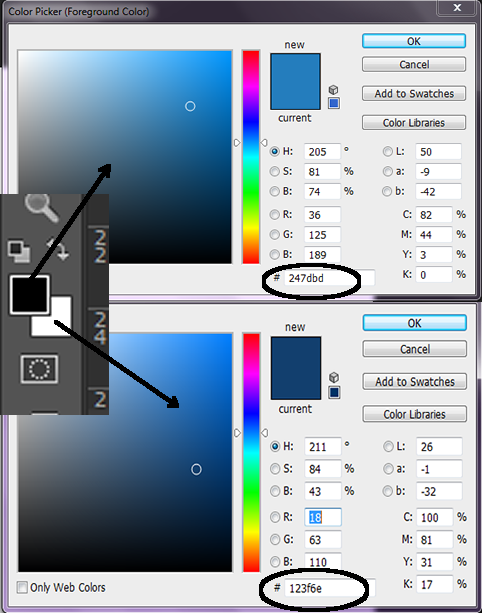 And then selecting Mask thumbnail of “Grid” layer, Apply “Image → Adjustments → Invert” and set Opacity to 10%.See screenshot. Now we are going to give some glow effect to out text and drop. 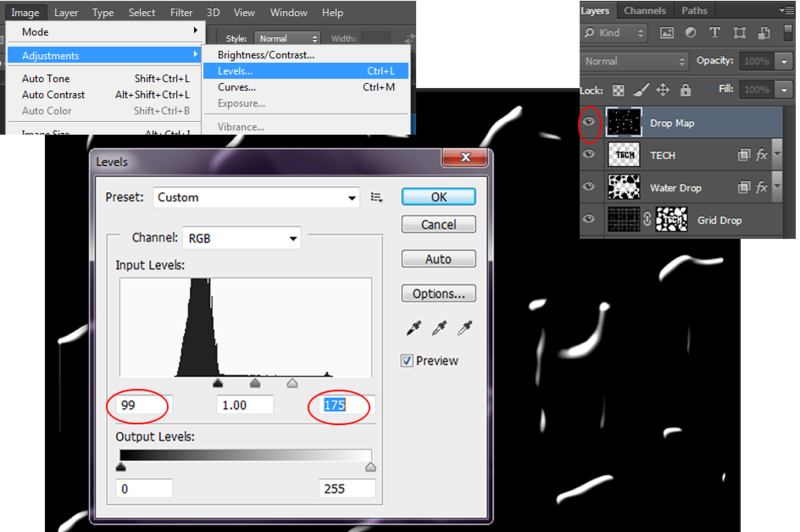 So turn on visibility of “Drop Map” layer and go to “Image → Adjustments → Levels” and set value like below screenshot. Now we are going for the final touch up. 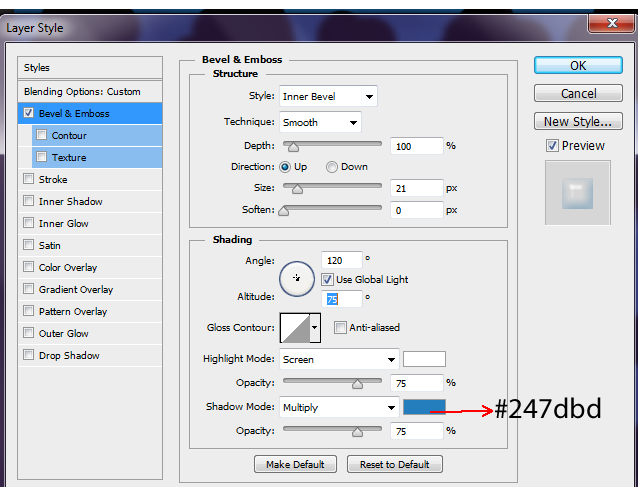 Create a new blank layer above the “Drop Map” layer and name it as “Reflect” and choose soft brush with colour #247dbd and paint some reflection in the opposite direction of highlited area. And also comment which type of tutorial you want next.